Do not miss the opportunity to explore the Chianti region and its green hills! Give yourself a break away from the noisy and crowded city spending a relaxing afternoon surrounded by nature, sitting comfortably in the original Tuk Tuk ( Ape Calessino )! The tour includes transfer from the hotel to the Chianti region. 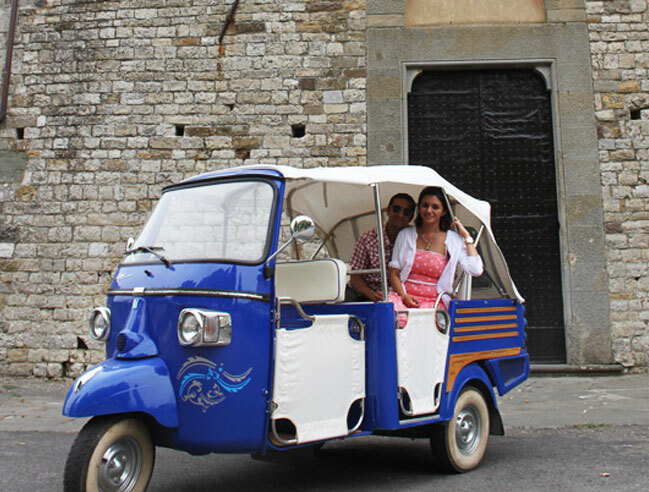 Visit the Chianti with the tuk tuk with stop in a wine cellar where a lunch with wine tasting will be served.